What, exactly, is rhetoric? Let’s survey the conversation around how to define this concept. Aristotle is the father of rhetoric and rhetorical analysis. His classic writing, The Art of Rhetoric, is foundational to our current understanding. Here are a few notable statements from Aristotle. Of the modes of persuasion furnished by the spoken word there are three kinds. The first kind depends on the personal character ofthe speaker; the second on putting the audience into a certain frame of mind; the third on the proof, provided by the words of the speech itself. 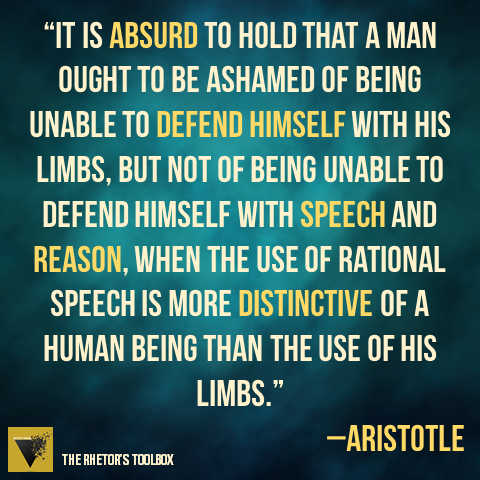 Aristotle, along with a number of other Greek philosophers and teachers, understood rhetoric as oratory. In the following centuries, the popularity of rhetoric as a study ebbed and flowed, with many individuals contributing to what we now call classical rhetoric. Modern theory generally suggests that rhetoric is a response to situational exigency. Rhetorical analysis and rhetorical criticism thus must consider individual and cultural influences on the speaker, as well as the methods of persuasion employed. 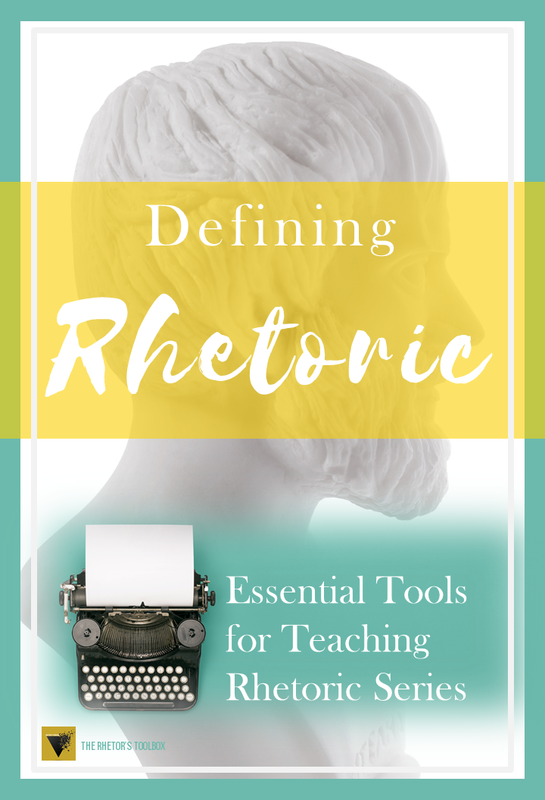 What’s next in the Essential Tools for Teaching Rhetoric Series? A little intro to the rhetorical situation. Check back next week!